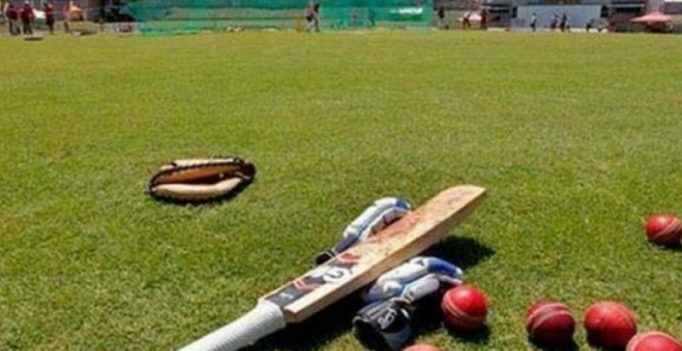 Srinagar: The Central Bureau of Investigation (CBI) has informed the Jammu and Kashmir High Court that huge amounts of money were transferred from the bank accounts of the State Cricket Association into those of its office bearers and other unconnected individuals. The court had in September 2015 ordered a probe by the CBI into the over 100 crore scam in the Jammu and Kashmir Cricket Association (JKCA). The JKCA had been under scanner for misappropriation of Rs 113.66 crore (including bank interest) received from Board of Control for Cricket in India (BCCI) between April 2002 and December 2011. It was alleged that instead of utilizing funds on development of infrastructure, these were swindled by some of its members including former treasurer Ahsan Mirza to live a lavish lifestyle. As a consequence, the BCCI stopped funding, badly affecting the activities of the association. The scam surfaced in March 2012 after the association treasurer Manzoor Wazir filed a police complaint against former office-bearers, Muhammad Saleem Khan (former general secretary) and Mirza. Former Chief Minister Farooq Abdullah, the then JKCA president, along with several others, was also accused in the scam. Abdullah had not denied there has been a scam in the association but had insisted on him not being involved. Abdullah, who was on July 20, 2015 removed as president of JKCA and replaced by Imran Raza Ansari, Sports Minister in the PDP-BJP coalition government, had in an over 30-page response submitted to the High Court said that his name was being dragged in the PIL just to “defame and tarnish his political image”. Earlier, the case was being investigated by the Special Investigation Team (SIT) of the J&K police. The accused had been charged under Sections 406, 168 and 120-B of the Ranbir Penal Code (RPC) for allegedly making the sports body a lending agency and for operating many bogus accounts. The case had been left hanging for more than three years till the court, not satisfied by the pace of investigations, handed it over to the CBI. The court had directed the CBI to complete the probe into the scam within six months but the agency later sought further time for it. Now it has, while seeking more time, also informed the court that it has collected as many as 360 documents, so far, from different sources and related organizations and banks and also examined 68 persons. During the investigations, the CBI found that Rs 112 crore and Rs 33 lakhs were transferred to JKCA from BCCI between April 2002 to December 2011. However, huge amounts were transferred from the accounts of JKCA to the accounts of different earlier office bearers of JKCA and other individuals who were having no connections with the JKCA during the relevant period, it has said. It has also surfaced that modus operandi of the suspects for siphoning off funds of JKCA was to get issued cash credit certificates against remittances received from BCCI and avail the loans and, thereafter, get the loan accounts closed in order to misappropriate the loan proceeds in question. “The evidence regarding siphoning off JKCA funds by officer bearers of association has been collected and the same are being scrutinized and synchronized”, it said. The CBI has cited the law and order situations in the Kashmir Valley as reason behind the delay in completing the investigations.